America’s Independence is a story of entrepreneurship. It’s the story of a group of people who had had enough of their conditions and decided to set their own course, a new model that, unknowingly at the time, became the standard for many countries to follow. Every 4th of July, the United States lights the sky in fireworks to celebrate its independence and the work that went into creating this great business. As I look back to this relatively young history, I’m looking for lessons that let us write our own. The world’s most important changes happened when people just had enough. We read about it in the American Revolution and watch it happen live in many countries around the world today. It’s a dream of a better life, a better working condition that energizes people to fight for change. It was a rebellious tea tax protest in Boston that most likely set the wheels in motion for this country’s change. Without resorting to protests and rebellion, take action to drive your personal and company change. Take the risk of starting something new, like this country’s forefathers did. Creating a new country, with new rules & new people, wasn’t an easy task, but it created one of the world’s strongest economies. It set the foundation for other countries to follow in independence and democratic movements. You don’t have to stay where you work if you are not satisfied. Like the spirited colonial men who gathered in Philadelphia, you too have the freedom to start something new. The Declaration of Independence was a visionary document that led the way to the country’s human rights. Its most classic statement gives every American the rights to “life, liberty, and the pursuit of happiness” It’s also the place that preserves the proclamation that “all men are created equal”. When starting a new business, write an inspiring statement that captures what you and your business stand for. In today’s working environment, we seek alignment and feedback from multiple functions and it’s difficult to accept the changes and critique. Now travel back to 1776, and picture Thomas Jefferson who drafted the Declaration of Independence and shared it with members of the Continental Congress for their feedback. I’m sure his original masterpiece was modified multiple times to include everyone’s opinion, hopefully making it a much stronger document; the one many live by today. An interesting fact I learned touring Philadelphia’s Independence Hall, is that the Declaration of Independence was actually signed on July 2nd, 1776. It’s celebrated on July 4th because that’s the date it was published for broad distribution. According to the park guide, think of it as a press release. On that summer day, many found out a movement had started. Capture your vision and strategies in a document that can be broadly shared, so others can understand the direction, and more importantly follow you. In 1787, the U.S. Constitution was approved. The way I see it, it’s the original business plan that laid the foundation upon which to build the United States. It’s the plan that explains the country’s government and the relationship between each branch and the people. Interestingly, it can also serve as a Code of Conduct describing the people’s rights. As you put together a new business, begin with a business plan that includes how things will work and look to set the right expectations for each employee. Both documents weren’t perfect, but amendments gave room to new course corrections in American history, including the abolition of slavery and women’s rights to vote. You’re not expected to have it right when first starting a business, but have flexibility to change as a means to improving it through the years. In any new business you can expect disagreement. In this country’s history it was expressed in the form of a Civil War that lasted from 1861 to 65. Different beliefs will happen across different parts of your career, anticipate them and put into practice your negotiation skills. Resolve conflicts professionally finding wins to everyone involved. Don’t avoid conflict, avoid war. George Washington was a great visionary, but the extents of his designing skills were limited to building a nation. 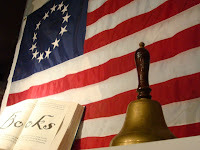 When it came to drawing a flag, he reached out to Betsy Ross. Betsy, a Philadelphian upholsterer, is credited with creating the first American Flag upon Washington’s request. Don’t expect to be the expert on everything, appreciate your strengths and let experts fill in for your weaknesses. Every 4th of July The United States celebrates not only its independence but its history and heritage. Like many countries around the world, who celebrate their independence birth, make sure you celebrate historic moments in your company’s legacy: the milestone of a brand, the end of a fiscal year, the start of a new direction, or your personal achievements. Lastly, here is a somewhat related advice that didn’t make it to the list, because it happened to me: research before starting a journey. I travelled to Philadelphia in search of both historic documents, the Declaration of Independence and the U.S. Constitution, only to learn online that they were both in Washington, a place I had visited a year ago in my journey to learn more on American history. I don’t claim to be a historian, but instead an entrepreneurial writer finding business analogies throughout history. My intent isn’t to interpret, critique, or praise any historical movement, but rather find broad level lessons that I can relate to the business world. My examples on history just skim the surface; I encourage you to learn more. My final advice is to familiarize yourself with your country’s history and those lessons, past and present, that you could bring to work today. Check out the pictures that inspired this blog on The Ten Things I Learned Facebook page. We grow up idolizing superheroes and fantasize becoming one someday. Naively, we tempt fate by sticking our hands in spider jars, wishing for that life changing bite, only to find out it’s not that easy. It’s another summer of Hollywood superheroes, and while they work on reviving yet another version of the classics crusaders, it’s the movies of the less-known-ones that makes me realize anyone can be a hero. These are the business lessons that weren’t taught in X Men’s school for the gifted. Superman might be considered the most powerful superhero, but his humbleness as Clark Kent is what makes him a very special human. There’s no need for him to brag that he just saved the world last night. No doubt you’re great at your job, but don’t lose the humility that connects you to others in your group. Batman outsmarted every other hero by training his backup. If something ever happened to Batman, who do you think would step up to get his job? Robin! Train your people to prepare them to take your place, preferably when you get promoted – and not captured by some Joker. Like kryptonite can weaken the strongest of all heroes, there are always things that bring us down. It might be bad weather or bad news, it could be a bad day or a bad sales call. It’s that black cloud that can follow us around certain days. Avoid it and step into a brighter light. Exercise tends to work and superheroes get plenty of that. If you plan on being a Superhero, try to have multiple, but more importantly, relevant powers – they’re called skills in our world. Those who don’t have much to offer don’t get called that often to the rescue. In today’s Metropolis there’s not much need for mind-controlling dolphins, sorry Aquaman! Like in comics, there are people who do bad…whether by mistake or intentionally. We’ll all face archenemies in our careers because of envy, being on different pages, or simply and unexplained evil. Distance yourself from those who are out to harm you; they’re not worth the fight. Even the most reserved superheroes confessed who they were to their circle of trust, whether it was a family member, a loved one, or a butler. Open up to the ones you trust most, they are fighting your same battle. Growing up, I watched a cartoon that had all superheroes working from the same “hall of justice” -or office. Depending on the emergency, they’d send in the team that had the best skills to handle it. At work, form a team with other superheroes who can strengthen or complement your skills. Together you’ll be better prepared to fight any legion of doom. All major superheroes, including Superman, Batman, and Spiderman, went to their parents for advice –even in the form of flashbacks. The strongest muscle, or coolest gadget, doesn’t stand a chance to wisdom from experience. There were heroes before you, like the senior team in your management. Look for their advice as you train to follow their footsteps. 9. Be –or empower - a wonder woman. In a world….filled with injustice…. women, unfortunately, work harder to get rewarded - equally at best. This message is for the WonderWomen out there who’ve become an inspiration to all. Continue battling strong, particularly in more restraining cultures, to make this a better world. The justice league is incomplete without you. Have you studied the background for every hero? Some are extra-planetary, others descendants of millionaires. There are spider-bitten teenagers and others the mutant next door. In short, they all come from different backgrounds but share one commonality: they chose to be superheroes, to do good, to train hard. No matter your background, so can you. We haven’t been tasked to save the world, but it lies within each of us to make it a better place. Our Gotham is the corporate world and our business skills the powers we develop along the way. Hopefully, having read this, you’ve become a stronger person and you begin singing the Superman jingle when you walk into work each day –preferably in your head. Travelling has become one of our favorite hobbies, and capturing lessons on those trips my newest one. My most recent vacation was in India, where I saw first-hand its history laid out in temples & forts, the culture through people’s expressions, and Hindu religion as if read from children storybooks. There’s much to share, but I’ll focus on the most iconic character, Gandhi, and what his story taught me on management. What began with questions to our tour guide and a timely visit to his museum in Mumbai, ended with me Googleing him and renting the 1982 Oscar-winning movie. 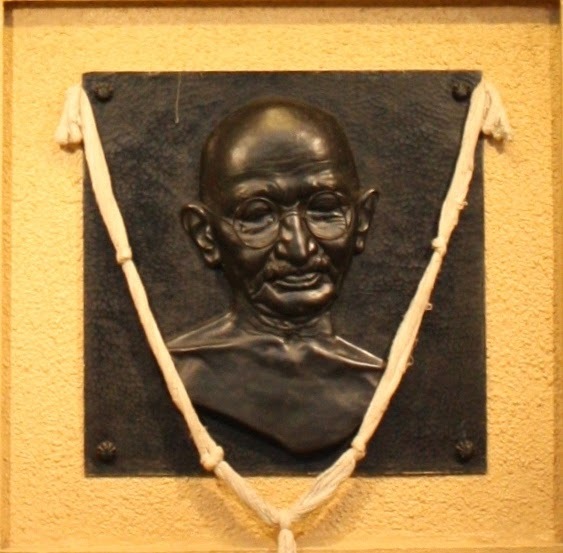 Through his movement, Gandhi became an international symbol of nonviolence and understanding. His efforts were first of its kind, inspiring an entire country and subsequently the whole world. In today’s business world, can you truly pinpoint the best innovator? the most memorable coach? or the top strategist? as clearly as you can associate Gandhi to a nonviolent fight for India’s freedom? Consider which one you want to be, and act on it, even if it’s in your smaller circles of influence first. There is story to Gandhi before India’s. His movement began in South Africa, where as a London-educated lawyer, he fought for Indian’s civil rights in that country. For us, it mean’s not taking on large projects until we’ve mastered the smaller ones. For Gandhi it was a 20 year battle in South Africa for Indian people, without knowing he’d battle another 30 for his entire country. 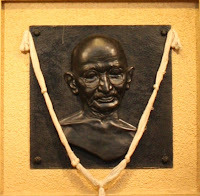 When Gandhi arrived in India, having been in London and South Africa for so long, he felt a need to reconnect with his people and his culture, to better represent them. He travelled the country alongside his wife, ending his trip with the iconic image we have of him: the white clothes that embodied the voice of Indian villagers. Take the time to become that under-cover boss and get to know the people you represent and their realities. As a CEO (or one-in-the-making) your responsibility is to them, so make sure you understand their situation. There’s a courtroom scene in the movie where a judge asks Gandhi to leave the province for disturbing the peace, to which he replies “I refuse to go”. Moments later, he is offered release in exchange for payment, and Gandhi responds “I refuse to pay...” after which the judge grants him release anyways. Would we have the nerve to act similarly in a business meeting? And would we be ready to accept the consequences which are undoubtedly less harsh than prison? I’m not promoting spoiled no’s for the sake of saying no, but rather taking a stand for what you believe. Touring his Mumbai apartment, our tour guide showed us a unique picture of Gandhi and an older Charlie Chaplin. She claimed Gandhi was a fan of Chaplin’s work (which is different than what I researched online...but let’s move on). Invited to London in 1931, Gandhi took time from discussing Indian independence to meet his idol who also stood for the working people. In your case, don’t immerse yourself in your job and find ways to escape with your own personal interests. In your next business travel, tour the city at your expense, but only if that’s your thing! Gandhi’s was a message of nonviolence. When violence broke out, he would fast against it, and people would stop protesting for his well-being. In the movie, there’s an unforgettable scene where groups of followers marched toward a salt factory getting beat down over-and-over by soldiers defending the entrance. From his distant prison cell, Gandhi brought the English a message of nonviolent resistance through his loyal people. Inspire your people to preach your message, even in your absence, and your results will probably be less painful than those endured by Gandhi’s followers. Great stories are passed along from generations through text. Nowadays, its quotes that make leaders unforgettable. From Kennedy, to Gandhi, to Einstein, we might not remember their whole life story, but throughout ours, we’ll be exposed to their human impact in famous quotes, like Gandhi’s “We must become the change we want to see.” Not all great quotes come naturally, take time to write and practice your speeches so your message stays behind even after you’re gone. From the dress-wear that connected him to humble villagers, to making salt as a means to protest the tax on what he considered an Indian-given right, Gandhi delivered messages through the use of symbols. His ban on European clothing became a spinning wheel that later made it onto India’s independent flag. Walk-the-talk at work, incorporating your beliefs into your behavior, but also into your verbal and visual messages. Although highly regarded, admired, and loved globally, Gandhi himself isn’t immune to controversy, from his belief that nonviolence should be the approach to all wars, to his more intimate personal practices. No one is perfect, but you should work hard to try to keep your controversies to a minimum. The more delicate subjects might not make it into your life movie, but they’ll always be out there to Google. 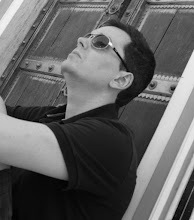 Through my writings, I’ll cover all types of people and places, not to generate debate nor to make you think of them differently, but instead to pick and choose those constructive skills that could be transferable to business settings. It's the collection of positive skills that makes us better people.